The Sell TNQ welcome event took advantage of the idyllic water views at Sugar Wharf. Occasionally in life you’ll meet someone who is so far outside your normal expectation of reality that is produces two simultaneously contradicting emotions – envy and gratitude. Imagine you have blagged yourself into the VIP lounge at LAX and find yourself sitting next to Miranda Kerr. You want to hate her for making you feel totally inadequate but you can’t because she is so ridiculously good looking you just feel better for being in her presence. Well, that is what it is like stepping off the plane at Cairns, a destination that is the definition of ridiculously good looking. It produces the very same contradictory reaction, envy that people get to live here permanently and gratitude that you get to experience it just for a little while. Even the hour-long drive from Cairns Airport up to Port Douglas must rate as Australia’s most scenic airport transfer. The Quicksilver VIII made for an appealing workshop venue on the water. It was all about the great outdoors at this year’s Sell TNQ, with the day-long workshop between select buyers and sellers held on board Quicksilver VIII in Port Douglas Marina – and what better place to get an overview of a destination that promises two World Heritage sites in one easy to get to package. There was plenty of good news to share with a wave of investment sweeping through the region which is looking more confident than ever. 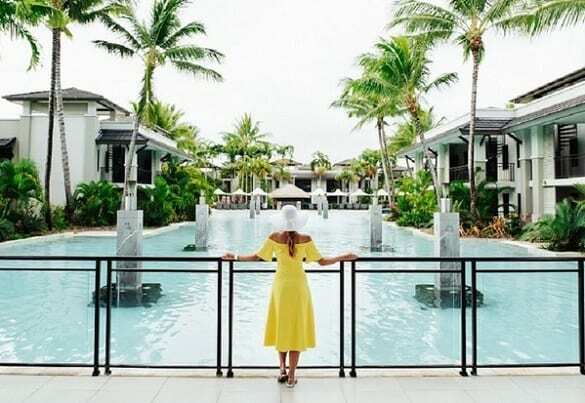 The biggest news has been the arrival of billionaire Ghassan Aboud’s Crystalbrook Collection, which has just opened Cairns first new build 5-star hotel in two decades with plans for three more sister properties in the works. Sell TNQ kicked off with lunch at the award-winning and sustainablity focused Cairns Convention Centre. Riley opened in November to much fanfare, with Flynn and Bailey set to follow soon offering three very distinct upmarket properties in Cairns. Port Douglas is also joining their ranks, with plans for the first six-star hotel in the region afoot at the Port Douglas marina. The company has unveiled three design concepts in preparation for a formal offer to council in January, with all three proposals involving building a 30-room six-star hotel and a 100-room five-star hotel along the Dicksons Inlet waterfront. If all goes to plan, the $200 million development would begin in 2020. 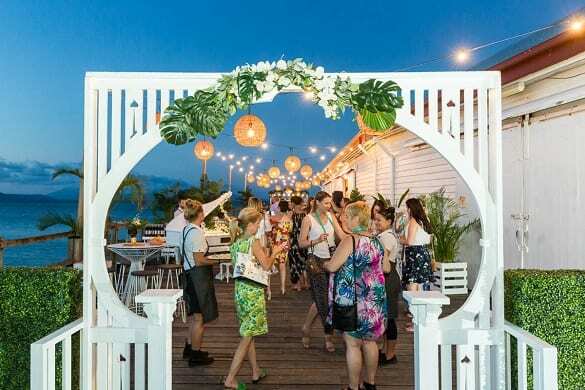 The Sheraton Grand Mirage Resort Port Douglas kicked off the refurbishment spree back in 2016 and continues to impress winning two awards at the 2018 AHA Awards for Excellence – ‘Best Meetings and Events Venue’ and ‘Best Refurbished Hotel Accommodation’. The Pullman Reef Hotel Casino followed suit a year later with a multi-million refurb of its public spaces. The Sell TNQ gala dinner was held at Flames of the Forest. Another property looking at getting some refurb love is the former QT which has been rebranded to Oaks Resort Port Douglas. 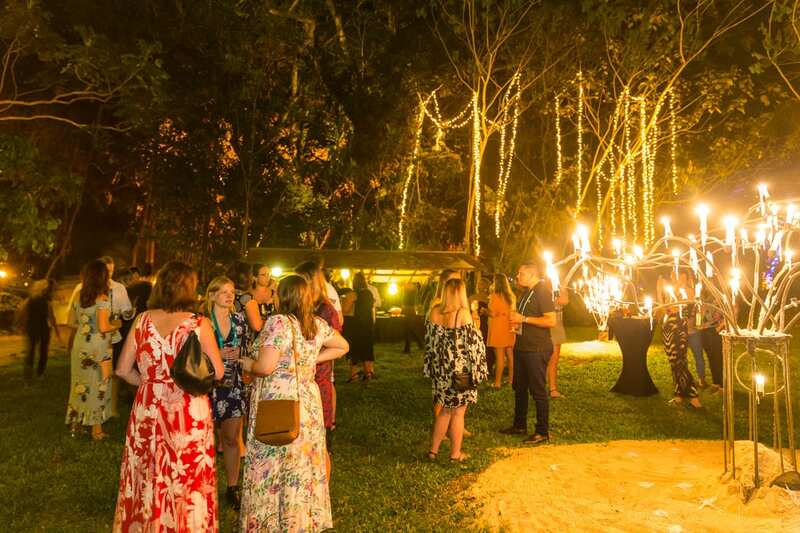 Over the road from its sister property, the newly rebadged hotel is looking to focus on the meetings market, with its Manhattan Ballroom and stunning outdoor space Rainforest Grove putting it squarely on any event organisers list. Novotel Cairns Oasis Resort is in the middle of a multi-million dollar refurb with a stunning new look lobby, restaurant bar and conference rooms in the mix. Think classic Queenslander meets tropical oasis. South of Cairns, Castaways Resort & Spa at Mission Beach is also set to undertake a $70 million redevelopment that will see the resort totally rebuilt in stages. The expansion will more than triple its current capacity to 226 rooms, up from 48, housed in 126 new accommodation units. The new resort will also have an underground carpark, three additional pools, multiple dining options and a state of the art conference facility. Construction is set to begin as early as mid-2019 and would take approximately two years. Breakfast at the newly rebranded Oaks Resort Port Douglas’ Rainforest Grove. With the natural world the star of this part of the world, offsite venues are also booming. Hemingway’s Brewery Cairns Wharf is the sister venue of its highly popular Port Douglas twin, and has hit the ground running with locals and visiting groups alike. Located on the heritage-listed wharf, the breezy layout has the potential for groups up to 800. Another wharf worth considering is Sugar Wharf on the Port Douglas inlet. Sugar Wharf was the site for Sell TNQ welcome function, which saw catering by the team at local restaurant Nu Nu, who were named Gourmet Traveller Regional Restaurant of the Year and for good reason. The newly opened Cairns Aquarium is another venue worth investigating with five spaces to choose from – each with their own highly themed habitats, animals and visual backdrops. This could be you at Pullman Port Douglas Sea Temple Resort and Spa. Another way to enjoy the natural underwater world is a new experience that combines indigenous cultural and historical story-telling with snorkelling and diving on the Great Barrier Reef. Experience Co has just launched its Dreamtime Dive & Snorkel experience, which features a full-day excursion that includes a glass bottom boat tour, a cultural presentation, snorkelling and a chef-prepared buffet lunch with optional diving and helicopter tours. Beyond the stunning backdrop, access to the Great Barrier Reef and Daintree Rainforest, luxury properties and up-close and personal wildlife experiences, Tropical North Queensland is also a leader in sustainability. Port Douglas is leading the charge, with the Douglas Shire named in a global top 100 list of most sustainable destinations by United Nations endorsed organisation the Global Sustainable Tourism Council. 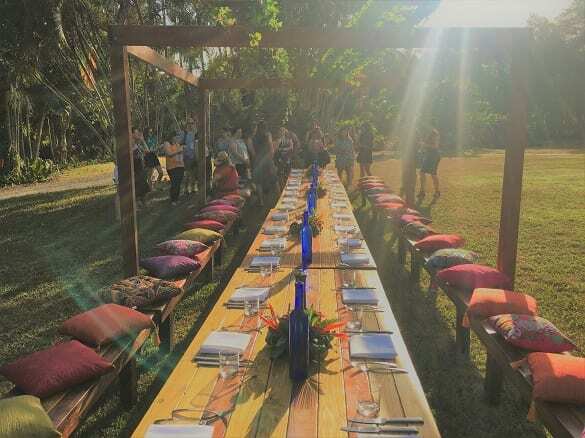 The council is also working in partnership with Tourism Port Douglas Daintree and Ecotourism Australia to boost certifications among tourism operators in the region in the first step on their journey to become the World’s first certified ecotourism destination. So what’s the takeway from TNQ? As beautiful on the inside as it is on the outside.